Post Grid is about life after an EMP, electromagnetic pulse. The power grid has gone down and soon society will go with it. Kelly Wise flees the chaos of the city in hopes of reaching the relative safety of her mother’s rural Arizona ranch. Along the way she encounters Jared Malloy, a sheriff’s deputy. His gunshot wound makes him more of a liability than a useful ally, but Kelly is a nurse, and without her aid he likely won’t live. They might just find the help they need from a refugee Civil Air Patrol ground team that has gathered at her mother’s ranch. Kelly and Jared throw their lot in with this diverse group. But the question on all their minds is: will the group’s combined skills and knowledge prove to be enough to survive? Post Grid is suitable for teen and adult readers. Tony and Nancy Martineau met while in college working on an ambulance in the Phoenix Metro area. Tony is a former Deputy U.S. Marshal and Flight Paramedic who continues to work in law enforcement and as a wildfire line medic. Nancy is a nurse specializing in emergency and pre-hospital medicine. The couple has been active in search and rescue with the Civil Air Patrol and Maricopa County Sheriff’s Office Medical Rescue Posse in the desert areas that they describe in their Post Grid series. Both are long-time amateur radio operators. I rarely have time to read anymore… Most of the time, the only books that I have time to get to have been recorded as an audiobook. But when I do, I usually gravitate towards post-apocalyptic stories with realistic scenarios and highly technical detail, though I do appreciate that zombie gore from time to time. I recently ran across the book ‘Post Grid’ and thought a good EMP (Electromagnetic Pulse) story might be in order. The story quickly evolves as one of the main characters, a nurse in a big hospital in Phoenix named Kelly experiences a catastrophic disaster while at work. With no power and a city full of looters and flaming buildings, she fled the big city on horseback for her mother’s house, a rural Arizona ranch located in Sunflower some 90 miles away. Along the way, she tends to a gravely wounded deputy sheriff named Jared and provides assistance to passers by as best she can. As the story continued, more and more characters made their way into the book including a father-son and father-daughter team of CAP (Civil Air Patrol) cadets trapped in the desert by the EMP during a search and rescue exercise, Nurse Kelly’s mother Emma, a retired military nurse, and all her close neighbors. 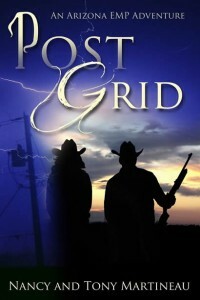 Post Grid is about life after an EMP. It is a story about family, community and the will to survival in spite of the many obstacles that someone would likely face in post-apocalyptic world. It was refreshing to think about how a group of complete strangers could pull together for the common good. Just like in the real-world, their diverse knowledge and skills quickly become valuable assets for improving their current situation, and ultimately their chance of survival. 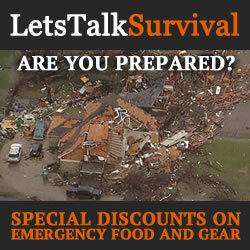 I thought the book did a fine job at communicating the necessity of survival planning and preparation for a wide-variety of survival situations and scenarios, and how disastrous things can be for you and your family if you don’t. Easily the difference between life and death. The book remained enjoyable throughout, especially for those who enjoy post-apocalyptic stories that do not focus on the blood and gore of it all. 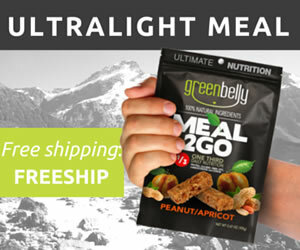 It was written by preppers for both preppers and non-preppers alike. As a result, the technical detail that I enjoy so much seemed a little glossed over and a bit too oversimplified for my taste, though I’m sure non-preppers would be appreciative. The main characters each had a military background with lots of emergency training, and were much more prepared than the average person so many tasks seemed a bit too easy. Additionally, I was expecting a lot more salty language leaving me with the feeling that some of the characters’ personalities could have been so much more. But then the audience would certainly not be as broad. The result is a book perfect for young teens and up.